Welcome to the Harrowhold! 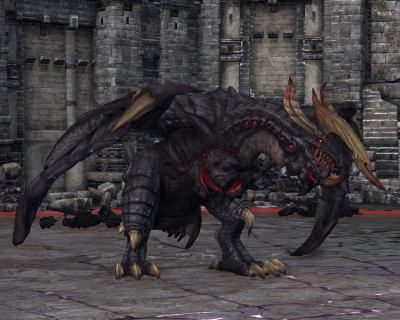 Defeat Vergos, the Dragonsire, in Tera’s first 30-man raid, coming in the Fang and Feather update! 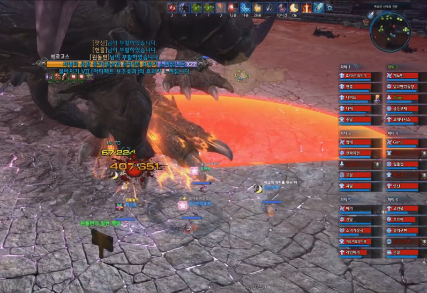 This guide is created in order to ease the everyday player into the new 30-man raid dungeon. In this guide, I will simply go over all of the crucial and major mechanics, and will give slight tips on making it through easier. This guide will be split into 4 different parts, 1 for each phase of the dungeon. After clearing one phase of the dungeon, you will be able to claim the rewards and move on to the next, if you decide to keep going. Enjoy! Orange/Yellow AOE Indicators can be iframed. The attack will come as the indicator will hit the edge. Red AOE Indicators cannot be iframed. The attack will come as the indicator will hit the edge. There are 4 phases of the Harrowhold, each offering its own rewards upon completion. Each one can only be completed once a week. Players will retain progress over the course of the week, and the dungeon progress resets every week on Tuesday (NA) or Thursday (EU). For example, if a player has completed Phase 2 on Saturday, they may either continue onto Phase 3 or wait until Sunday to continue. The phase entered will depend on the raid leader’s progress. If the raid leader has completed a phase, then all raid members will progress onto the next phase, regardless of their progress. Players who have not completed the previous phases will skip ahead and not receive any loot from the skipped phases. Players who have already completed the phases will not be able to enter. 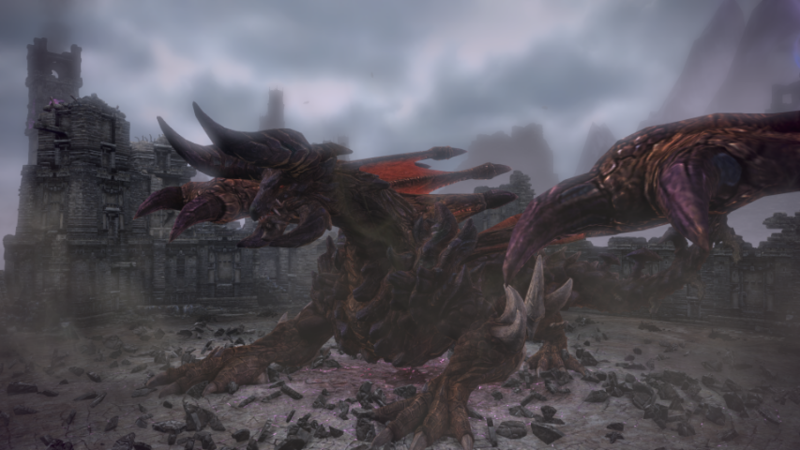 Completing each phase of the Harrowhold will reward players with a high amount of Gold, Battle Packs containing Enchanting materials and chests, Vergos’s Chests possibly containing Ambush gear, +12 and +15 Enchantment Scrolls, Smart Dyad Niveot Structures, Vergos’s Body Parts required in order to convert Ambush to Behemoth gear, Vergos’s Head for the Marrow Brooch, Behemoth Essences, Behemoth Belt, Superior Etching Boxes providing Etching IVs, Dyad Niveot Structures, and Goddess’s Tears. Additional details may be found in the “Rewards and Loot” tab. 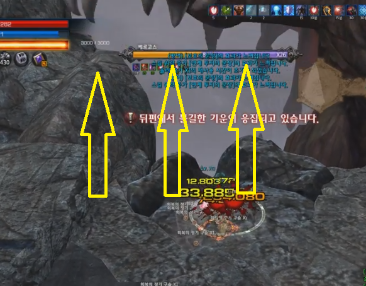 In this phase, you will be fighting 4 dragon BAMs that you are most likely already familiar with from other instances/zones of TERA. Their attack patterns are identical to that of their previous iterations from other instances, with a few mechanics added on. 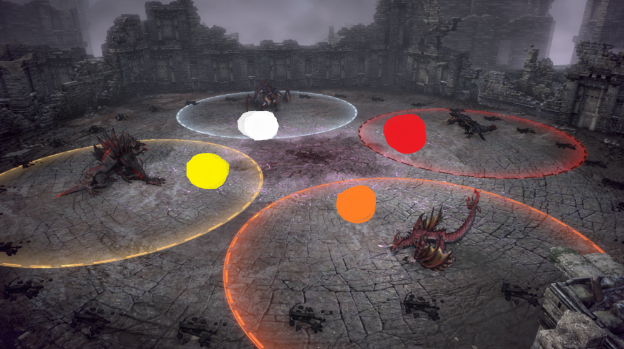 Dragon Aura: Each BAM has a colored zone around it, in which you and your raid members will be fighting inside simultaneously. 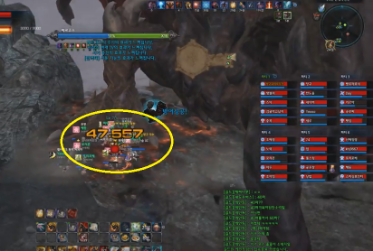 It is necessary for your raid to be split into 4 parties, each taking on one designated BAM. If any BAM is left without any players alive inside the zone, it will begin to regenerate HP massively, along with the 3 other BAMs. This means it is necessary for at least one member in each party to be alive in order to not trigger this mechanic. During the fight, anyone is free to move across the zones from one to another, but have only 5 seconds to do so. 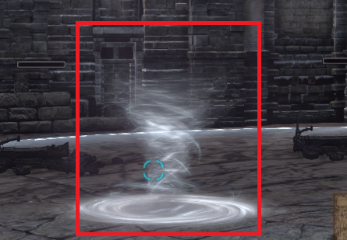 Standing on ground that is not a zone for more than 5 seconds will damage you for around 10% maximum HP per second. Tenfold Curse: Every 15 seconds inside a zone, you will receive a stack of debuff corresponding to the color. If anyone acquires 10 stacks, they will instantly be killed and cannot be resurrected. You do not gain stacks while dead. Terradrax’s Tenfold Curse has a yellow icon, Umbradrax’s Tenfold Curse has a dark-red icon, Ignidrax’s Tenfold Curse has a orange icon, and Aquadrax’s Tenfold Curse has a white icon. 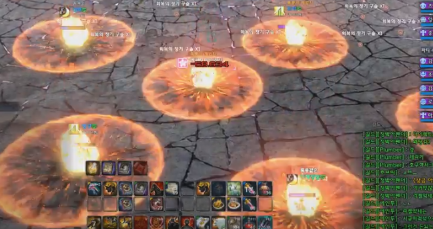 Summoning Ritual: Every 8-9 stacks (~2minutes), all four BAMs will undergo a Shield Phase in order to summon Vergos. 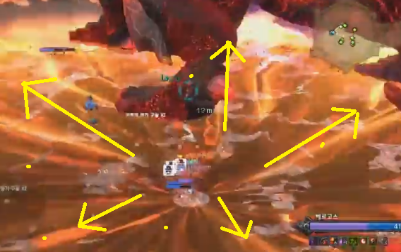 If any BAM is left with an unbroken shield after their mechanic ends, it will result in a full raid wipe. After you have successfully passed this mechanic, everyone should switch to another color BAM in order to not die from 10 stacks of debuff. This also means that your party will be rotating through the BAMs at maximum 4 times. 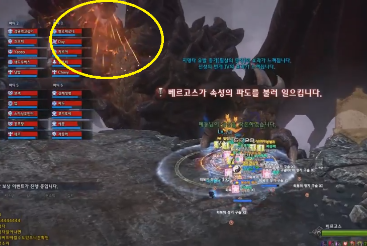 On the 5th rotation, you will be back to your starting zone and will already be at 8 or 9 stacks, basically meaning a wipe. So it is advised that with each rotation following a Shield Phase, each party has dealt roughly ~25% of their respective BAM’s HP. 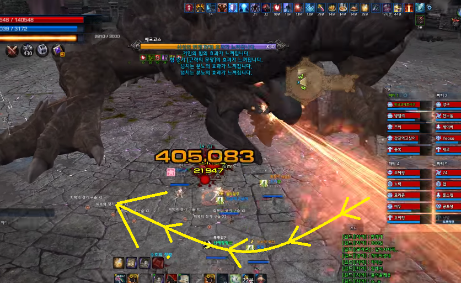 Enrage: After the first BAM has been killed, your raid has 1 minute to kill off the rest of the BAMs or they will Enrage, gaining 10x damage and 2x attack speed. 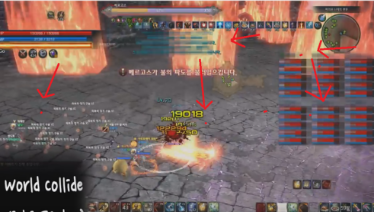 Your raid should coordinate so that all of the BAMs are killed within that timer. The easiest of the four, its attack patterns are identical to a Fimbrilisk. Its attack speed is slow, but it hits hard. Hardened Scales: This mechanic begins with a close range AOE explosion. This AOE indicator is orange, indicating that it can be dodged by i-frames. At the same time, he will also gain a 4 second buff. This buff must be removed using Plague of Exhaustion or Regression by your healers. Since the AOE mechanic and buff mechanics begin at the same time, healers can either choose to remove it before or after dodging the AOE first. Failure to do so will cover the BAM in a 300-Hit Shield with 90% damage reduction for its duration. Notice I say Hits, not HP. It requires 300 hits to break the shield, regardless of damage, so it is advised for everyone to use multi-hit skills to break the shield rather than try to deal maximum DPS. Earthy Protection: Terradrax will move to the center of the zone. He then will create a wall of rocks around himself. Players must break the rock and stun Terradrax within 10 seconds. Failure to stun will give the BAM a stacking 20% attack speed buff every 2 seconds until stunned (stacks up to 5 times). It is advised to have your party focus 1 rock. Evil Thoughts: Umbradrax will periodically spawn Spirits of Agony (in the shape of chibi Melditas) on 0-5 random players. The players affected will be indicated by a purple orb above their heads, just like Pahoegar does in Shadow Sanguinary. 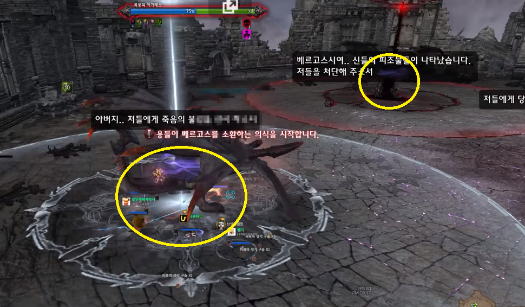 After a few seconds, the Spirits will be placed on top of the indicated player’s location. It is advised that the indicated players stack on top of each other in order to make life easier when destroying them later on. These Spirits do not take damage from players. The Spirit-spawn mechanic has a low chance to be followed by an inner or outer ring AOE. Both cannot be i-framed. The only way to destroy these totems are by Umbradrax’s Evil Fire. Evil Fire: After crying out “(Player), burn in my darkness!,” Umbradrax will aim a laser at one random player, then the player must aim the laser at the totems. The laser does a lot of damage in many ticks, but is i-frameable. 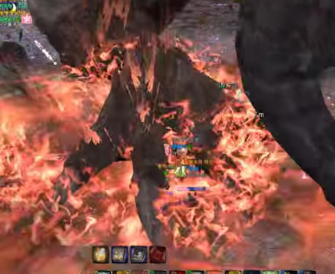 Fire Blast: This mechanic in indicated by Ignidrax being surrounded in flames. 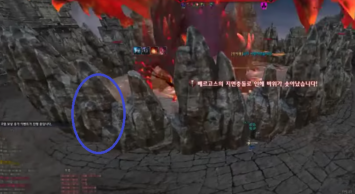 At this point in time, every player in this zone will have a meteor above their head that will crash down after a few seconds dealing 60% maximum HP in a small AOE around the player. The damage cannot be i-framed and can overlap, so try to spread apart. 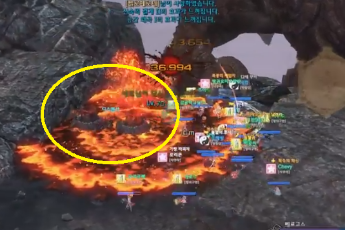 After the meteor has crashed down, it will spawn a Volcano (in the shape of an idle Moloch BAM) below each person’s position for the next few seconds, dealing ticks of damage if you stay on top of the AOE. In addition to damage, if you stay on top of it, the AOE will expand rapidly. After not expanding for a few seconds, they will disappear on their own. Donut: This mechanic has a 50% chance to immediately follow Volcano Meteors. You must quickly move out of the outer ring of the donut. The damage cannot be i-framed. Cutting Wind: In this mechanic, Aquadrax moves to the center of the zone and flies into the air. After a brief moment, it will come crashing down, pushing every player in this zone to the edge as well as giving them a bleeding debuff. The debuff can be cleansed. This should be treated like Nightmare Lachelith’s pushback or Nightmare Fulminar’s water phase, where the party groups up on the priest or uses a mystic mote (while players closer to the mystic can be cleansed from the mystic itself). Whirl of Chaos: Aquadrax will begin to be surrounded by wind for a few seconds. Players must stun Aquadrax within this time period. Failure to do so will spawn moving tornadoes (up to 15) inside the zone. These do not do much damage, but knocks the player airborne for a short duration. This phase is split into two parts. For the first, you will be fighting Vergos until he reaches 70%. 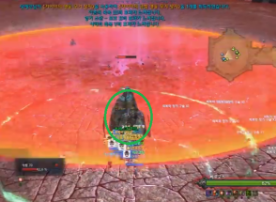 After the successfully breaking the final Destruction Phase, you will advance into the second part, where your raid will attack Vergos as he is circling around in the air with ballistas. 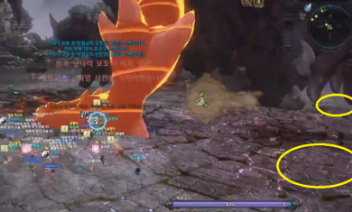 Important Note: Vergos does not enrage, so DPS and Tanks should use a Pounding crystal instead of a Focused crystal. There are 5 parts you can attack: the four legs and the head. Any attacks towards the head will count as being in the front. Any attacks towards the legs will count as being at the back. 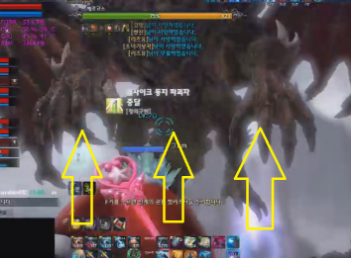 Tanks should be attacking the head and the DPS should be attacking the legs. Do not be directly under Vergos, as doing so will trigger a big AOE that will one-shot anyone caught in it. 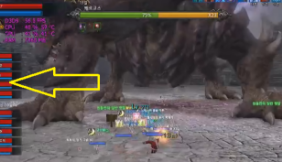 The AOE is as big as Vergos and appears under him. Not i-frameable. Dragon’s Eye: Attacking Vergos while having aggro will generate a debuff that can stack up to 5 times. 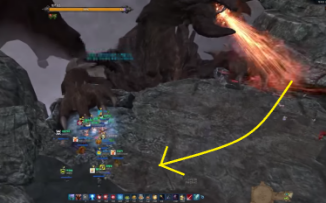 At 5 stacks, Vergos will create a massive one-shot AOE that is more or less a wipe. You generate a stack every 20 seconds while holding aggro. The debuff itself does not do anything. 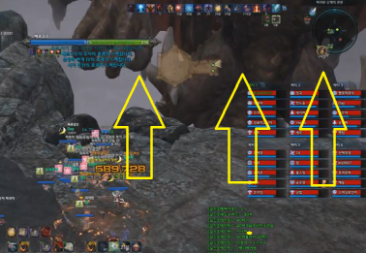 Thus it is critical to have your tanks rotate aggro amongst each other so that none will reach 5 stacks. The debuff will disappear after 3 minutes of not gaining a stack. Initial Pushback: At the start of the fight, Vergos will come crashing down from the air. Stay far enough so you don’t get crushed and killed. After he has landed, he will also immediately push everyone to the edge. Does not do any damage and cannot be dodged. Everyone should hold off on any damage until your initial tank has obtained aggro. Fire Breath (Front): Breaths fire from his mouth (right to left or left to right) in a cone. Can be i-frameable, much like Verno’s spinning lasers in Demokron Factory’s Verno. 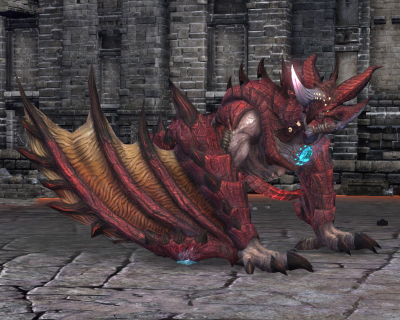 Fire Breath (Left/Right): Breaths fire to one of his hind legs. 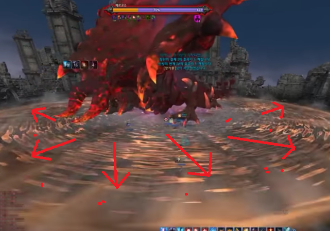 Indicator will show up as red and once the indicator hits the edge, fire will come out and kill anyone inside the AOE. Cannot be i-framed. Swipe: After a Smash, can follow up with a swipe to his hind leg. If his front-leg does not immediately move back up after smashing and sits there for a bit, it means he is about to Swipe. Bite: Bites 2 times in succession to whoever has aggro. Back Slam: Slams the ground with both of his hind legs. Shockwave: Stands on his hind legs and headbutts the ground, causing an expanding shockwave that one-shots. Can be i-frameable. Identical to Demokron Factory’s Verno’s “Burn” mechanic. Triple Smash: Smashes the ground in front of him with one of his front-legs 3 times in succession. Last smash will one-shot. Can be i-framed. Shockwave: Swipes in an arc with one of his front-legs to his hind leg, also whipping his tail to the opposite side. Double Smash Jump: Looks in both directions, smashing first with the front-leg that is on the side he looked at first. The hind leg that is opposite to the front leg smashes as well. Then smashes again with the other front and back-leg. Then Jumps up into the sky to crash down and one-shots. Can be i-framed. Front-Back Smash: Slams the ground with both of his front legs, then both of his hind legs. Not a one-shot, depending on defense. Can be i-framed. Destruction: Vergos will undergo a shield phase at 90%, 80%, and 70%. The shields will only cover 2 parts of Vergos, between its Head and 4 Legs. Failure to break both of the shields in time will wipe the entire raid. 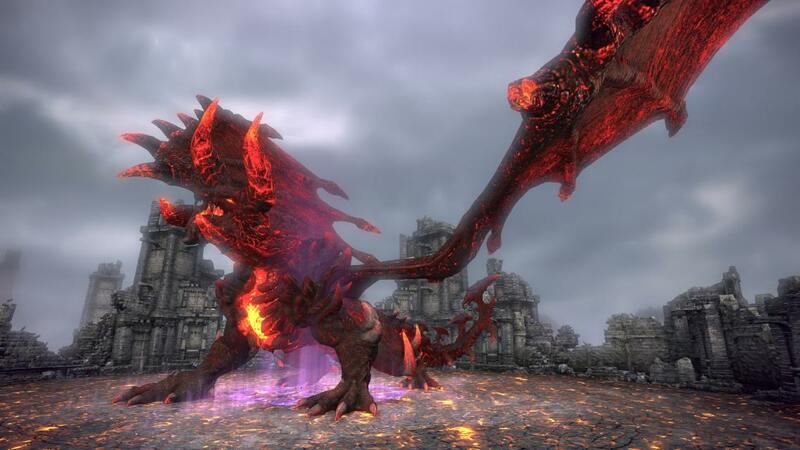 Lava: After the 80% Destruction, Vergos will fly up into the sky and breath down fire that covers almost to the edge of the arena. You must run all the way to the edge of the arena as soon as possible to avoid getting roasted. Cannot be i-framed. 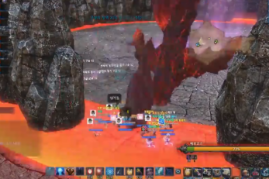 After the lava spill has ended, Vergos will come crashing down, creating a one-shot AOE either on the outer ring, or inner. Cannot be i-framed. It is advised to stand somewhere in between to anticipate either AOE and move out or in in time. Or he can glitch out and just plop back down without an AOE. This phase can be skipped if your raid DPSs hard enough right after the shield and skips straight to the 70% Destruction. After you break the third shield at 70%, you proceed onto part 2, where Vergos takes flight and you must use the ballistas scattered across the arena to bring Vergos crashing down. This part will test your driving skills, as well as aim. After the last shield phase has been passed, Vergos will fly up into the air and begin to circle around. Your raid must be positioned near the edge of the map where ballistas are stationed. Vergos will be at 100% HP and the phase will end when he reaches 40% HP. 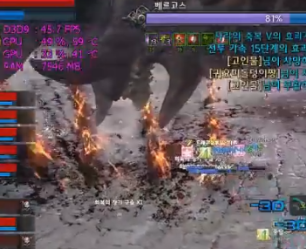 Destructive Breath: Once your raid DPSs Vergos down to 40%, phase 2 is cleared. Failure to reach 40% by the time the meter hits 100, the entire raid will wipe. Ballistas: Once the phase has begun, you will be able to repair the ballistas by pressing F. Being inside a ballista gives you three skills: Arrow, Sequential Fire, and Evasive Maneuver. Arrow (Left Mouse) – Fire an arrow at a target in front of you. After 10 successful hits, you may use Sequential Fire. 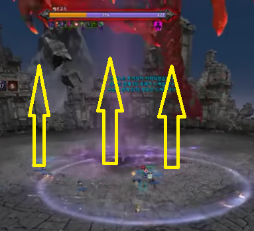 Rapid Fire (Right Mouse) – Fire several arrows at a time. The effect is very powerful, always inflicting a critical hit when used successfully. Evasive Manuever (1, C) – Greatly increases your movement speed. Fire Waves: Fire walls will stand stationary at the edges of the map. After a brief delay, the walls will begin to move across the map in a linear fashion. It is easy to tell which direction the walls are going to go, but there will be multiple walls on multiple sides of the map criss crossing each other. 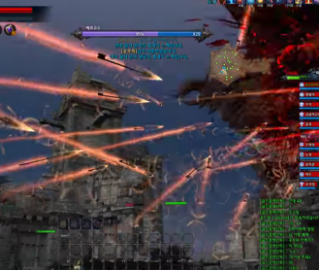 If you are riding a siege, make sure to dodge the walls first then continue to shoot at Vergos circling around in the air. In this phase, you will be fighting Vergos as he is latched onto a cliff. You will only be hitting its front legs and it will not be enraged the entire fight. Therefore DPS and tanks should use a back-crit setup without a Focused crystal. The raid must be divided into 2 parties, one for each front-leg. The phase ends when you bring Vergos down to 20%. Boiling Anger: 10 minutes after 90%. Boss gains massive amounts of Power and Endurance. Dragon’s Eye: In this phase, the aggro-debuff mechanic works similar to Phase 2, except you acquire a stack for every 15 seconds of holding aggro. Stacks will be acquired in between mechanics, not during them, so acquiring stacks may take longer than 15 seconds. Swipe (Left or Right): A swift swipe with one leg. Hitting only the side of the corresponding leg. Smash (Left or Right): Brings one leg up in the air to do a smash after a brief delay. Flame Breath: Spits a stream of flame from one side to another. Does one-shot. Can be i-framed. Flame Wave: Identical to Part 2 of the previous phase (Heavy Fire), flame walls occasionally appear on the side. They move across in a linear fashion. Starts after 97%. Volcanoes: Identical to Phase 1’s Ignidrax’s Volcano Meteor mechanic, up to 2 people from each side will spawn a Volcano under them. This mechanic does not have the preceding meteor as did in Phase 1. This mechanic will follow soon after both Vergos’s legs are engulfed in flames. Like before, if somebody stays inside the Volcanic Sludge, the AOE will expand and cover up more space. 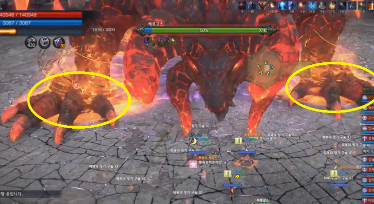 Lava Wave: Much like back in Rift’s Edge (Hard), how the raid had to hide behind the tank for Koleogg’s Lightning Charge AOE, Vergos will wind up to release a continuous wave of lava that covers the entire map and the tanks will have to hold block in position until the wave has ended. 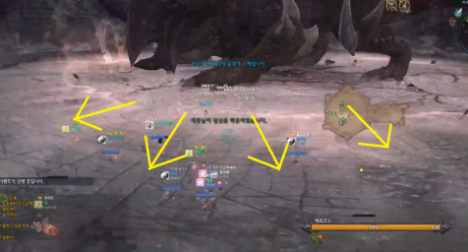 Tanks will have an arrow above them to show their location to nearby raid members. Flame/Dust: This mechanic begins below 80%. 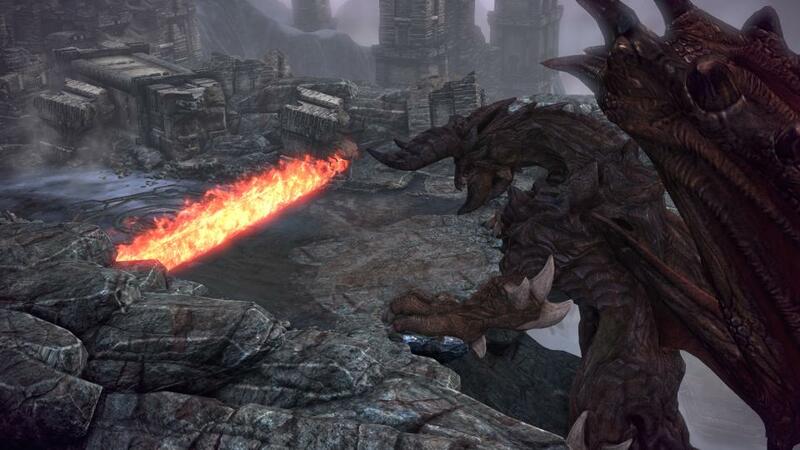 Every player will receive a debuff that is either Red (Flame) or Black (Dust) when Vergos’s body is engulfed in flames. Once this mechanic begins, every player will have 6 seconds to move either to the Left hand or to the Right hand. If anybody is nearby anybody with a different debuff than themselves, they will both explode, dealing heavy wide AOE damage. 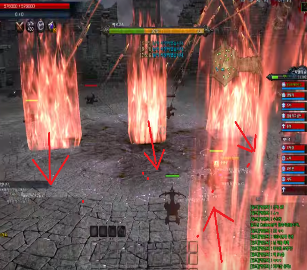 If somebody dies and is resurrected, they will still have their debuff, but have 10 seconds to move to their correct side, or else they explode like when near someone else with a different debuff. Players with Dust should move to the left leg while players with Flame should move to the right. If anybody is nearby anybody with a different debuff than themselves, they will both explode, dealing heavy wide AOE damage. 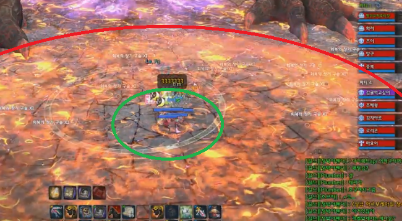 Your raid should decide on a path for players to move if their debuff gets swapped: clockwise or counter-clockwise. Hand Switcheroo: Past 60%, both the dragon’s hands will be engulfed in their new colored flames. Its order may be the same as before, or can be swapped around. You will be able to tell by looking at its hands. This will happen repeatedly for the rest of the fight. 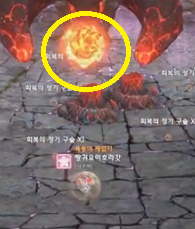 Flame/Dust Spheres: Past 85% one colored sphere will spawn in the center of the map, notified by “Evil is concentrating around you.“. The same rule applies when getting near the spheres, thus only Flame debuff players can hit Flame spheres and vice versa. Past 60%, two colored spheres will spawn behind each side, this mechanic will also immediately follow Hand Switcheroo. If not destroyed before it explodes, it will wipe the raid. If destroyed, it will give Morale Boost, a 20% attack speed and 50% cooldown reduction buff for 10 seconds. 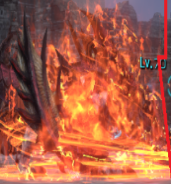 Elemental Wave: Starts below 80% or when everyone has obtained their debuff. 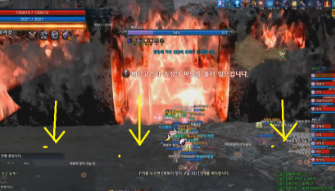 Players with Flame can pass through Fire Walls and players with Dust can pass through Dust Walls. This mechanic can spawn on one side, or both sides. You must pay attention to see if you must stand in one spot to pass through both walls or quickly dash one block up in case both walls are not aligned. Destruction: At 50% and 25%, both of the legs get covered by a shield. Failure to break this within the time will result in a raid wipe. After the shield, DPS down to 20% to clear phase 3. There will also be a shield before 70% if the DPS is low enough. He’s mad now. He will be permanently enraged throughout the fight. DPS and Tanks should use a Focused crystal and even opt for a Poised instead of a Hardy. Boiling Anger: 10 minutes after 90%, Vergos gains massive Attack Speed, Power, and Endurance. After 50%, Vergos gains a 15% Attack Speed buff until the end of the fight. Basic Attacks: Exactly the same as Phase 2’s Vergos. Refer to that section. Dragon’s Eye: Same debuff idea as previous two phases. 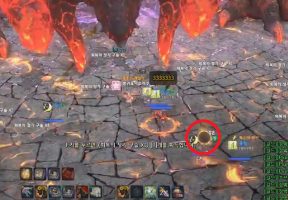 The timer on debuff stacks are random and mostly dependent on if Vergos is doing a mechanic or not. Stacks will not be acquired during a mechanic, but in between them. 90% Pushback: At 90%, Vergos will push everybody back to the edge of the map to show his rage and immediately summon Celestial Energy Orbs. Fire Walls: Same idea as before, fire walls will zoom across the map from time to time. Get out of their way. Volcanoes/”Hakans”: Same idea as before, Vergos’s legs become engulfed in flames and will spawn up to 3 Volcanoes under randomly targeted players on each body part. Petrification/Meteors: A small meteor will start to enlarge above your head. Once it gets big enough, you will turn to stone and the meteor will strike down in a small AOE around you dealing moderate damage as well as leaving a bleeding debuff. The debuff can be cleansed. 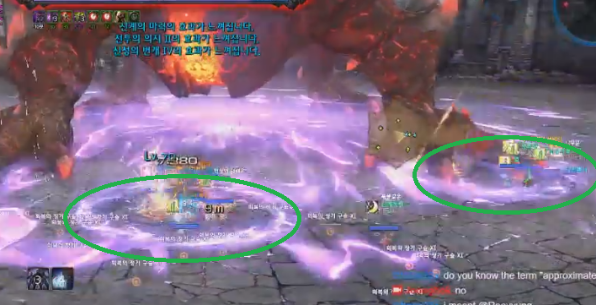 It is advised to spread apart before the meteor lands to not overlap any AOE, but quickly gather together to have a priest cleanse everybody in 1 cast. Impact cannot be dodged. 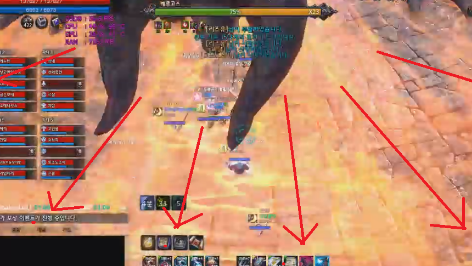 If your raid leader predicts a Toroid Heat/Small Bomb or a Blistering Heat/Big Bomb directly afterwards, your healers should not cleanse but rather just heal. 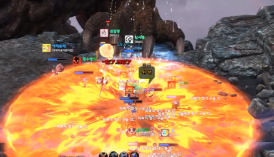 Toroid Heat/Small Bomb: When the floor becomes filled with hints of lava, a small meteor will appear above the head of randomly targeted players in each section of the body. These meteors explode when cleansed or when their duration expires. When exploding, it hits in a huge Donut-AOE around the target, meaning it is safe right near the target and extremely far away, but not in between. Your party should group up before cleansing. If not cleansed, all players inside will die, and the explosion radius is larger. Celestial Energy: This mechanic occurs up to twice in the fight, the first being at 90% immediately after the pushback. 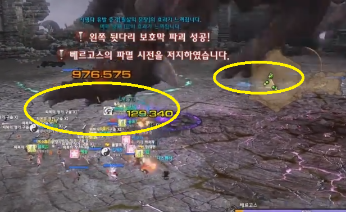 The second occcurance can also be skipped if DPS is fast enough. It is followed by a Destruction Phase (if boss is still above 50%) and a Rock Cage or a Pushback into a Debuff Mechanic (if boss is past 50%). 1 purple orb will spawn behind each location of the body (total 5), and gradually transition to the center of the map. Once destroyed, it will leave an AOE puddle that increases the damage of players inside by 50%. 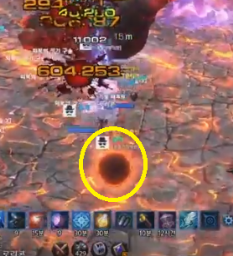 Failure to destroy an orb and it manages to reach the center, the orb will give a damage buff to Vergos. Destruction/Shield Phase: The first Destruction immediately follows the first Celestial Energy (purple orbs). A shield will cover all 5 parts of Vergos’s body. Break it or wipe. The next shield phase will occur immediately following the second Celestial Energy if the boss is not pushed past 50% after the mechanic. If the boss is pushed past 50%, the next shield phase will occur after the Debuff Mechanic. Every Debuff Mechanic except for the second is followed by a shield phase. Rock Cage: After the first Destruction, Vergos will do a massive jump and crash down causing a shockwave that will one-shot. Can be i-framed. After he has landed, he will form a cage of rocks that surrounds him and players caught within the AOE. Players must break through the rocks and hide from the incoming waves of lava. The rocks have a ton of HP, so it is advised to focus 1 rock and escape through there. After the lava wave has ended, Vergos will come crashing down, breaking all of the remaining rocks. But will also come down with either a donut-aoe or an inner circle-aoe. It is advised to stand roughly where the rocks are and wait to see which AOE it is, then move accordingly. The AOE is not i-frameable. Igneous Prison: Past 65%, Vergos will do a yellow indicator AOE under it with arrows. Anyone that is caught inside the AOE when it explodes will take moderate fixed damage and turn into a stone statue and receive Suffocating Heat, which kills them if they are trapped a second time. 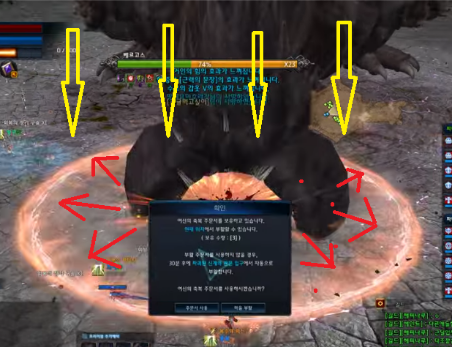 1 member from each party should be inside the circle in order to get turned into stone. Vergos will fly up into the air and prepare to unleash waves of lava covering the entire map. Hide behind a stone to be safe from the lava. Every stone must be broken right after the lava stops. If not, will result in a wipe. 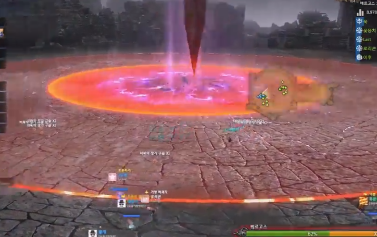 If all stones are destroyed, Vergos will crash back down with an inner circle AOE. It is advised to damage the statues until they are at about 40% HP then wait for the lava wave to end before destroying the statues. Do not use hard hitting skills until the end. 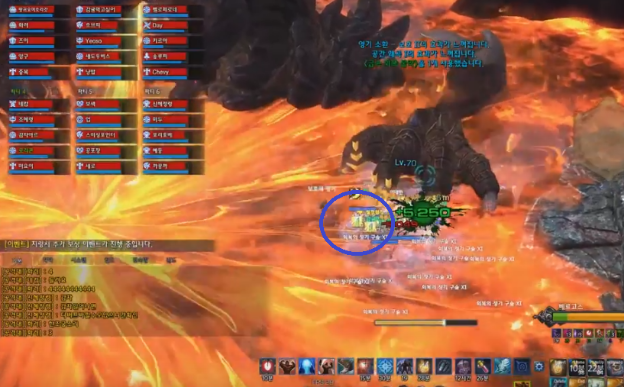 Flame/Dust Debuff Mechanic: At 50%, Vergos will push everybody back to the edge of the map to show his rage, then immediately give everyone a Flame/Dust for preparation for the Debuff Mechanic. From 50% and onwards, Vergos will do this mechanic periodically (notified by “I will drown the world in blood!“. The idea is similar to Phase 3’s Red/Black Debuff Mechanic with Phase 2’s Double Smash Jump attack. Players will receive their designated color debuff as Vergos begins its Double Smash Jump (looking both ways). 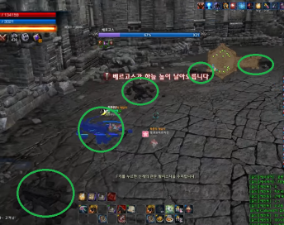 They have 10 seconds to position themselves to receive the opposite debuff AOE. 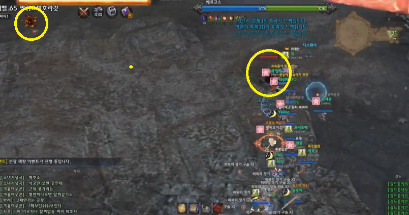 The first smash will create an impact AOE for Black Debuff (Dust). 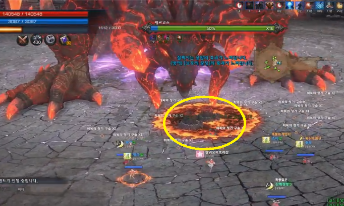 The second smash will create an impact AOE for Red Debuff (Flame). You MUST get hit with the opposite AOE or else you will explode, dealing large (usually fatal) damage in an area around you. Each impact will deal moderate damage. 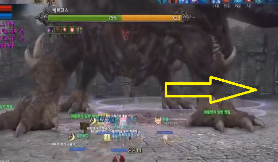 Refer to Double Smash Jump guide in phase 2 to know which legs hit first. The Jump must also be i-framed. Every debuff mechanic except for the second is followed by a Destruction/Shield Phase. 4. 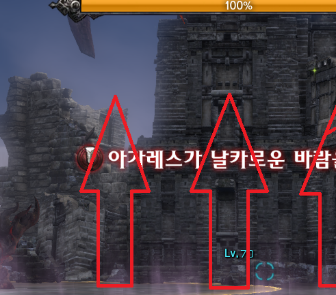 Take the opposite color debuff to what you have. Blistering Heat/Big Bomb: Past 50%, this mechanic replaces the Toroid Heat mechanic. When this mechanic happens, 1 player from each part of the body will be given a big meteor above their head and a debuff. If there are no players on that body part, the Bomb will go towards a random player. Cleansing the debuff or letting it expire will cause it to explode, dealing heavy fixed damage (45% HP) to everyone in the raid. The goal is to cleanse all meteors before it expires. Leaving 1 meteor at the end to explode on its own is okay too. Cleansing multiple people with meteors on their head will cause them to explode at the same time (cleansing 2 people will explode for 90% HP damage). 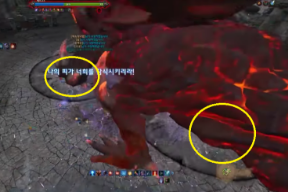 It is advised for most raids to cleanse 1 at a time, but raids with experience and competent healers can cleanse 2 at a time (2 legs), then the head last to speed up the process. Please be aware, this mechanic can immediately follow Living Fire/Meteor mechanic. Be careful when cleansing right after Living Fire/Meteor mechanic, as it might cleanse this mechanic. Final Destruction: At 10%, Vergos lets out his final bit of rage and pushes everyone back. The final Destruction immediately follows this mechanic. This is the last mechanic left in the raid. Vergos will cover itself in TWO layers of shields. 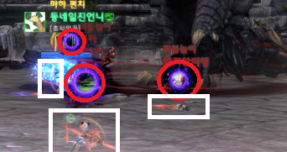 Parties in each position of the body must break the shield twice in order to complete this mechanic, otherwise the raid will wipe. If you successfully break all the shields, Vergos will no longer be able to fight and you can finish him off without any retaliation. 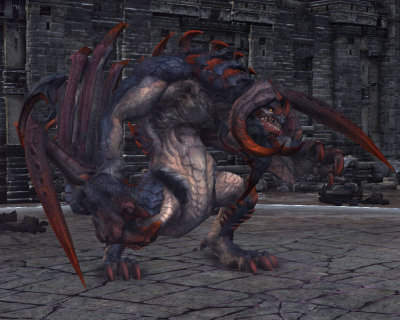 Vergos’s Body – Used to upgrade Ambush (VM8) into Behemoth (VM8.5). More details can be found on the Behemoth gear page. 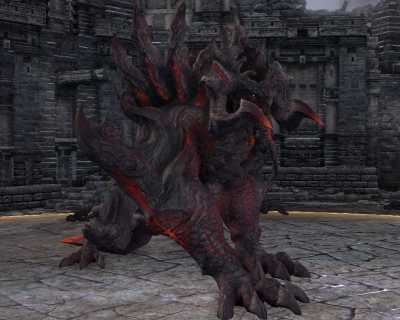 Vergos’s Head – Used to unlock the quest “Requiem for a Dragon”, which gives the player a Marrow Brooch. Behemoth Essence – Used as a token. Right click to open a shop where you can purchase parts of Vergos’s Body. Superior Etching Box – Open to obtain one of 16 permanent IV etchings. Pumped – Increases Power by 12. Keen – Increases Crit Factor by 22. Energetic – Increases Attack Speed by 5% and decreases skill cooldown by 3%. Healing – Increases HP recovery by 420 and Attack Speed by 1.5%. Threatening – Increases aggro by 10% and Attack Speed by 1.5%. Grounded – Increases Endurance by 10. Unyielding – Increases Crit Resist Factor by 25. Relentless – Increases maximum HP by 6,200. Battle Packs – These packs contain various materials for enchanting and crafting Ambush. Vergos’s Chests – These chests contain random rewards. 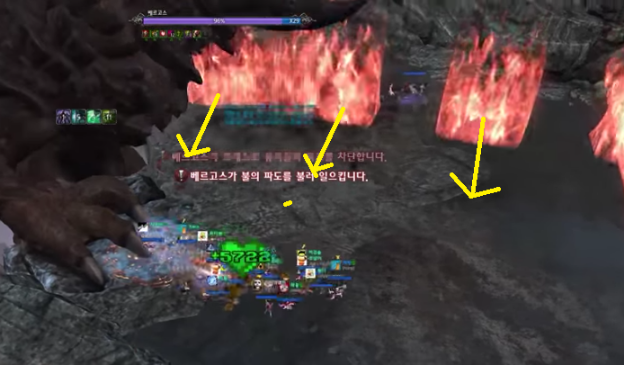 Credits to Busan of Mount Tyrannas for writing the guide. Credits to Gameforge (Tera EU) for providing images and details on rewards. There is no strict gear requirement, per se, but you can assume that for most players, you need +15 Ambush gear or better. The absolute minimum for DPS classes will be perfectly rolled and etched +12 Guile, which is only acceptable on the archer class. After spending a bit more time in p3 than expected there are a few things which could be added. The debuffs go out after 89%, not 80%. 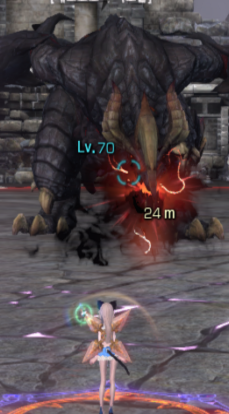 In case you die at 89% and res you will already receive a debuff even if the boss hasn’t started the debuff mechanic yet. You’ll have 10 seconds to move to the right side. The first time he does the debuff mechanic should be right after the Hakan at 87%. I’m not sure where Busan got the 80% from, must have been incredible dps. In case of very low dps there might be a shield at roughly 75% as well. 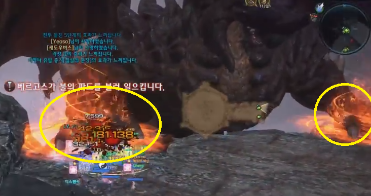 If you encounter that one it might as well be a wipe honestly since you won’t have the raid dps to clear before enrage. It’s very easy to skip this one and you’ll know you successfully skipped it if you destroy the 2nd orb at roughly 75%(with very good dps you won’t even see the 2nd orb). The switcharoo mechanic at 59% is never a switch. It will always be Black left, Red right(looking from your own perspective, not the one from the boss). Every double orb is scripted and follows the same pattern. First double orbs spawn after the switcharoo mechanic(even the first one which is not a switch). The 2nd double orbs will spawn after the FIRST debuff AFTER the switcharoo mechanic. Basically it should go something like this. 58% -> switcharoo mechanic(once again, first switcharoo mechanic is never a switch, colors will be same) -> DOUBLE ORBS -> Elemental Waves from both sides+filler attacks -> debuff -> DOUBLE ORBS -> filler+hakan -> 50% shield phase. This will repeat at the next switcharoo with fillers being the only different attacks. Hi, the reward of phase 1 and phase 2 might be reversed? 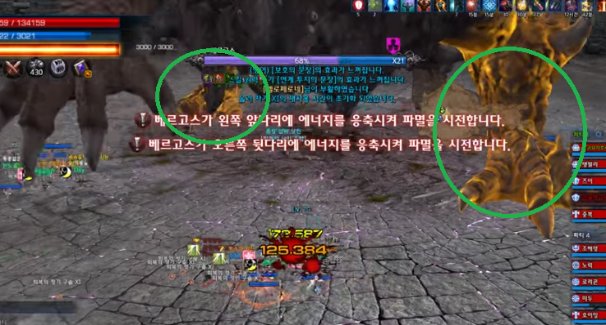 I believe that Phase 1 and 2’s loots were swapped in KTERA because Phase 1 was harder for most people than Phase 2. It must be nice to take someone else guide and copy paste it word for word and not give them credit. Essential Mana is a community-powered site. 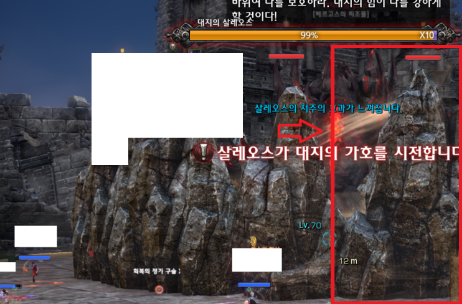 The author Busan contacted us to publish his guide on this site. Please see the credit section at the bottom to see full credits and author credit. Great guide, quick question about tank stacks, does that mean that tanks can swap before the stack is applied in order to never have any? or would the user of 3 tanks be necessary and have 3/4 stacks on each? I believe it just means that someone will get a stack every X seconds. 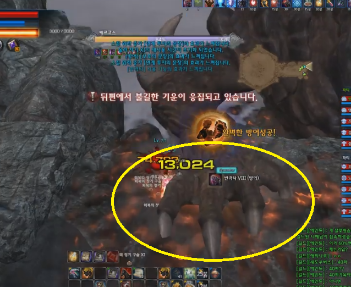 The timer doesn’t begin when someone gains aggro. The use of multiple tanks would be necessary.